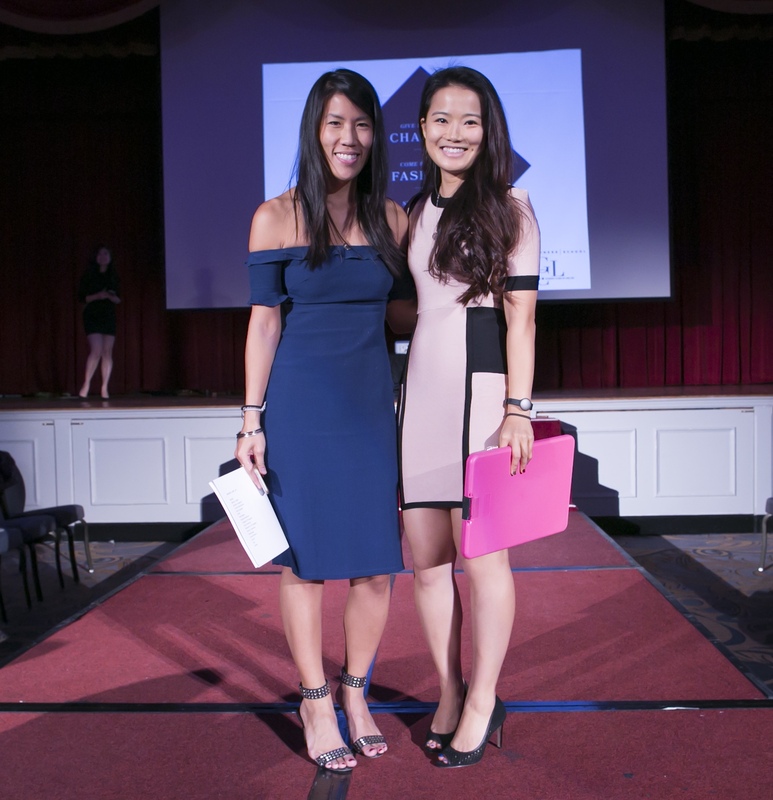 Regular contributor Emily Dohse reports on the the eighth annual Retail & Luxury Goods Club Harvard Business School Charity Fashion Show. If you’re currently an RC, you may be panicking about how many 3s you’ll get this semester (probably one, someone has to get them). If you’re an EC, you’re definitely panicking about riding into the HBS sunset with your dream job. Well guess what. Panic no more! Edith Head, an American costume designer from back in the day (literally, c. 1930) once claimed that, “You can have anything you want in life if you dress for it.” Which is fantastic news, since your classmates just showed you how on October 21st at the annual Retail & Luxury Goods Club (RLGC) Fashion Show. 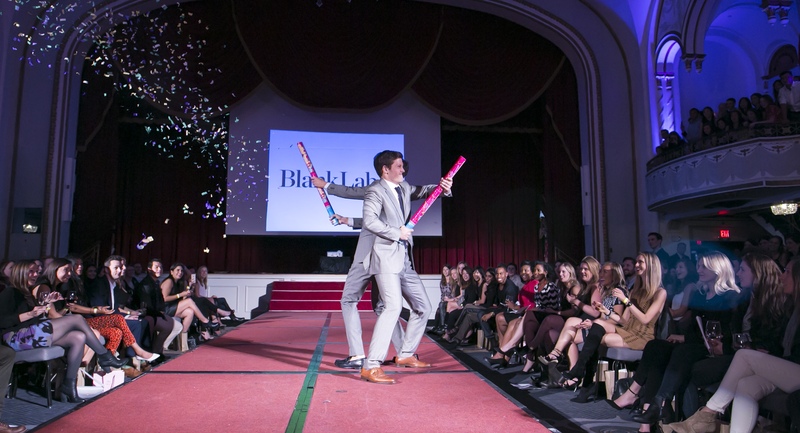 The 8th Annual HBS Charity Fashion Show was held at the Boston Park Plaza Hotel in their impressive Imperial Ballroom, and attracted over 850 attendees from HBS, MIT Sloan, and the Boston community (that is over double the attendance of last year!). The show, co-hosted with MIT Sloan Retail, CPG and Luxury Club, was a sold-out event complete with a last-minute surge of ticketless-attendees clamoring to get in at the door. 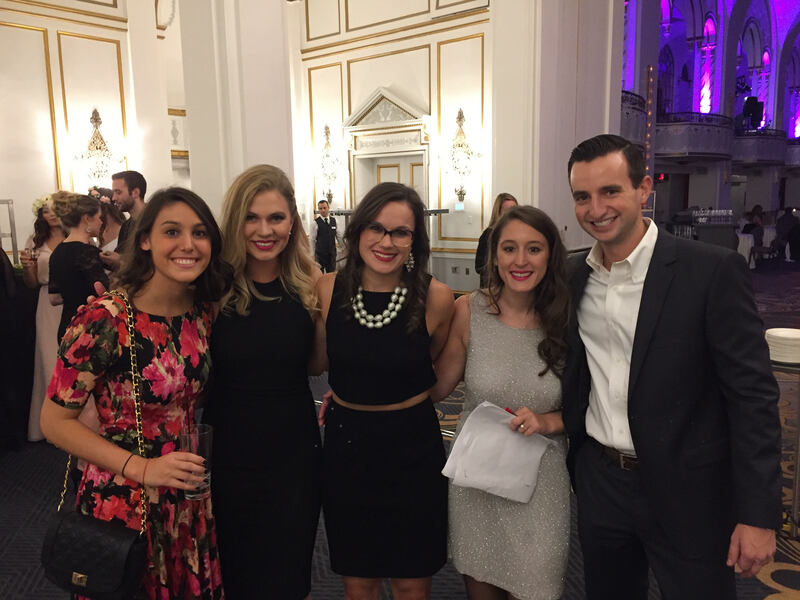 You’d have never known about the behind-the-scenes hustle to accommodate ticket holders and ticket non-holders by watching Allie Egan, Joy Peabody and Stephanie Marr, the HBS RLGC Co-Presidents, greet guests and welcome attendees dressed in their most fashionable. They were calm, cool and collected as they ushered everyone into a night of finery. Each year the show raises over $7,000, and this year far exceeded each one before it. With 100% of ticket proceeds going to Cradles to Crayons, a Boston-based charity that provides clothing, books, school supplies and other necessities to more than 305,000 homeless and low-income children, the RLGC club raised $15,000! Supplementing the $15,000 total was an RLGC fashion show first – a silent auction made up of donated items from sponsors, as well as a warm clothing drive that provided hundreds of hats, gloves and sweaters to local kids. The forces behind such a well-dressed giving machine are the RLGC’s Fashion Show Chairs, Christy Liu and Justine Liu. 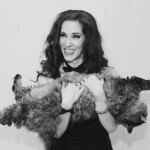 “It’s kind of crazy that a small team of seven put on an event for over 850 people, managed 50+ models from two business schools (MIT Sloan and HBS), locked down almost 20 designers and got over 30 sponsors!” Christy said while reflecting on show, “We are so proud of the team – they helped make it all come to life.” And come to life IT DID. Check out all the juicy details from backstage, the runway, and the after party below. This year’s catwalk stretched across the lavish ballroom underneath massive sparkling chandeliers. The opulent space afforded an elegant and calm atmosphere complimented by a fast-moving undercurrent of excited energy. Pre-show, I was hanging out in one of the balconies overlooking the runway, watching models get finishing touches on their make-up. One of the visibly exhausted make-up artists confided in another, “That was INSANE,” adding that they had been there since 5:30PM transforming over 50 business students into superstar supermodels. I looked over at the last model to get her lashes on and she nervously proclaimed “I need a shot!” I’m not sure if she ever got it. But I am sure that fifty students and probably 1,000 butterflies were ready to walk! I left the models and took my seat. After a malfunctioning mic system mishap (the only major snag in the night, said the organizers), Iggy Azalea’s “Fancy” started up and the lights dimmed. The show featured established and up-and-coming designers with looks ranging from evening wear, menswear, active wear, and bridal. Designers included BCBG, Blank Label, Crush Boutique, David Meister, Dee Hutton, Joanna August, Levi’s, Ministry of Supply (launched out of MIT in 2012), Outdoor Voices, Rent the Runway (HBS alums), and our very own HBS emerging designers of Topology. Alex and his partner Eric Li sourced indigo fabric in Japan for the slim-cut shirts used in the fashion show (they retail for $95) and since summer have been taking hundreds of orders via their site www.weartopology.com. Alex adds that “Topology exists for those who want their garments to tell a story as interesting as their own,” and they aim to inspire people with the collection featured at the fashion show. Another local collection showcased during the show belongs to Helena Monteiro, a Boston graduate of Massachusetts College of Art and Design. Her athletic wear looks inspired spirited and crowd-pleasing pushups, bicep flexes and other displays of fashionable athleticism from the models. One of my personal highlights of the show was the bridal collection. Christy Liu explained that it “was really fun segment for us to showcase and we’re thrilled that Joanna August was willing to send us so many pieces to work with. This was a really exciting opportunity to put together a strong, cohesive presentation with our own creative stamp on it: the hair, the floral crowns, and the long stem bouquets.” For those dying to know, I asked if attendees next year would see bridal gowns in addition to bridesmaid dresses walk down the runway, and the answer is: wait and see! Christy and Justine say “the team is always looking to improve,” and that, among other things, we can expect ATMs that don’t run out of cash and a cash bar that accepts credit cards next year. If you are an RC who had to go to class the next day – rest easy that next year’s event will aim to be held on a day when no classes follow so everyone that has interest can Euro-party the night away. The successes of the night can be summed up in the co-chair’s initial three goals formed at the start of planning the fashion show this year: “make the show as big as possible, bring in new and exciting designers, and maximize the check written to Cradles to Crayons at the end of it all.” Check, check, (and sashay), check. Daniella, Sierra, Cara, Rocky, and Pete.